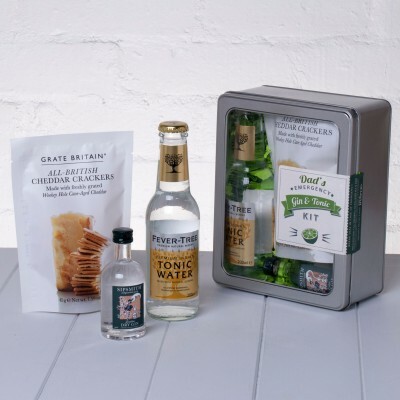 Vodka or Gin? 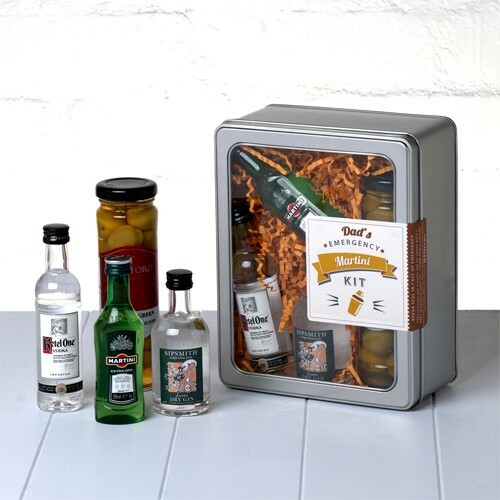 Shaken or stirred? 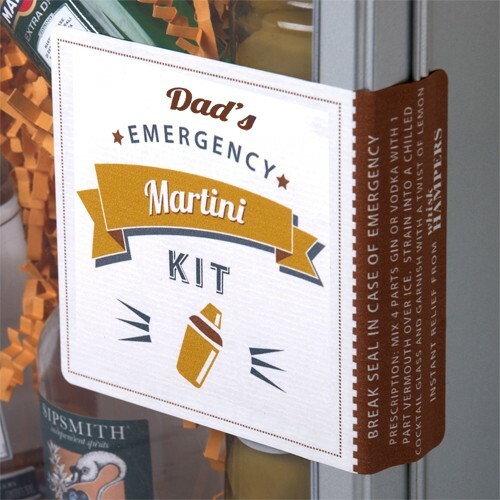 If you have (or know) a Dad who imagines himself as something of a James Bond type, just picture his face when you transport him to an elegant Monaco Casino with his very own Emergency Martini Kit. 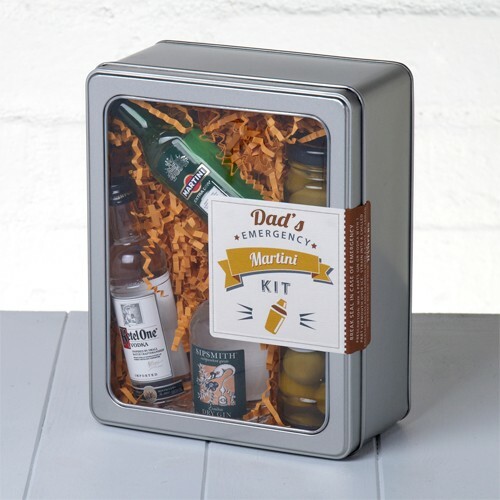 Our Dad's Emergency Martini kit makes a wonderful Father's Day Treat, Birthday Gift or Christmas Present and is also a great way to let your brilliant Dad know just how much you appreciate him and all he does for you. There's something incredibly sophisticated about the classic Martini Cocktail, and all your lucky Dad has to do when he yearns for the glamourous life of 007 is break the seal on the tin and a classic Martini is minutes away. 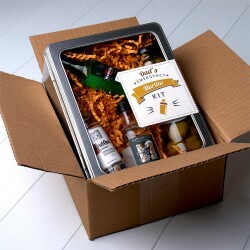 However, we know that not all these would-be-Bonds will succumb to temptation, they may instead decide to keep the fun tin as a keepsake - and each time they look at it they will be reminded of you. 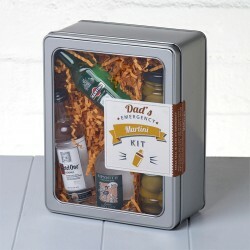 Dad's Emergency Martini Kit includes smooth Ketel One Vodka, artisan Sipsmith London Dry Gin, Martini Extra Dry and plump, juicy Olives (for that authentic finishing touch) Presented in a sleek metal tin (with a clear window to show off the contents), lined with colourful shred and finished with a 'Break Seal in Case of Emergency' label.